I think we should skip the part where I explain you how vital sun protection is and just agree that we HAVE to do it no matter what! Having this in mind I had a minor breakdown where I realized that my absolutely favorite Diorsnow sunscreen is almost gone haha. I immediately went searching for it in the store but apparently it’s not being sold in my country (I got it from Spain last year) so I had to think fast and get a different one. The one that caught my eye was this La Roche-Posay Anthelios XL 50+ Melt-In Cream (now that was mouthful). I liked that it has SPF 50+, which is hard to find but it’s definitely important to me cuz I like to be fully protected haha. The same sunscreen comes both in liquid and cream version but I always prefer creams for some reason. The product is supposed to be great for sensitive skin prone to sun intolerance and they say that it prevents from pigment spots, which is lovely! :) I used this yesterday and really liked the consistency, so far so good! I am such a sucker for eye creams! I have tons and I love them all but I am always on a hunt for a new one haha! I actually saw my mum using the Bioderma Sensibio Eye Contour Gel last week so I decided to try it and I absolutely loved it so I picked up one for myself! It moisturizes my eye area really nicely and surprisingly enough it de-puffed my eyes a bit, which is amazing! It is really light and absorbs quickly. I’ve also noticed that after using concealer on top of the cream it doesn’t cake or crease and it actually applies easier! Such a winner! While I was at the drugstore I spotted these facemasks from Botanical Choice and I decided to pick up two. 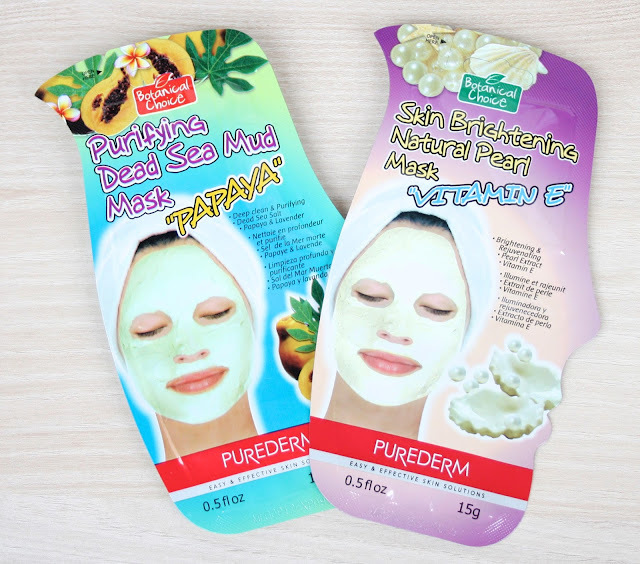 The ones I got are the Purifying Dead Sea Mud Mask and the Skin Brightening Natural Pearl Mask. I am huge lover of facemasks for some reason, even though they rarely do anything to my skin so we’ll see how it goes with these two haha. I have never tried anything from Botanical Choice but from what I’ve seen on other blogs they are lovely, so my hopes are high! :) I’ll definitely update you on how I like them soon! 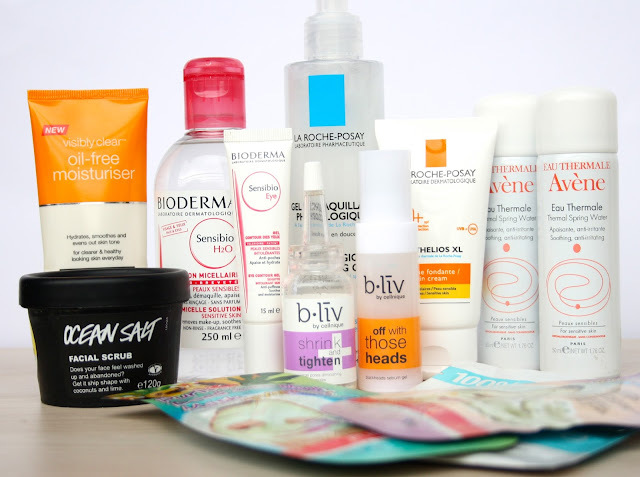 So these were all skincare bits that I recently got and I hope you enjoyed this post. 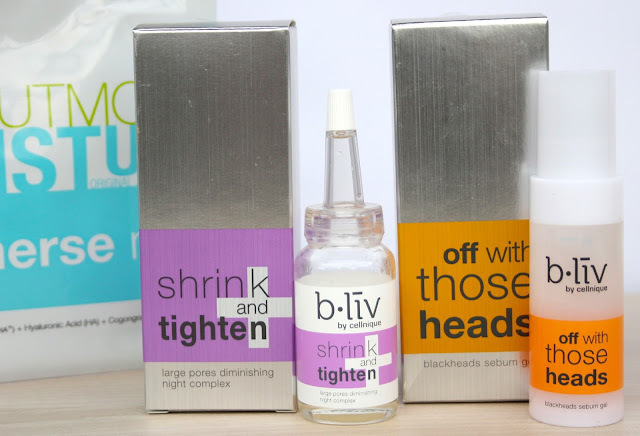 I will do full reviews on each of the products as soon as I form opinion on them, so keep your eyes peeled! :) Have a great day everyone! 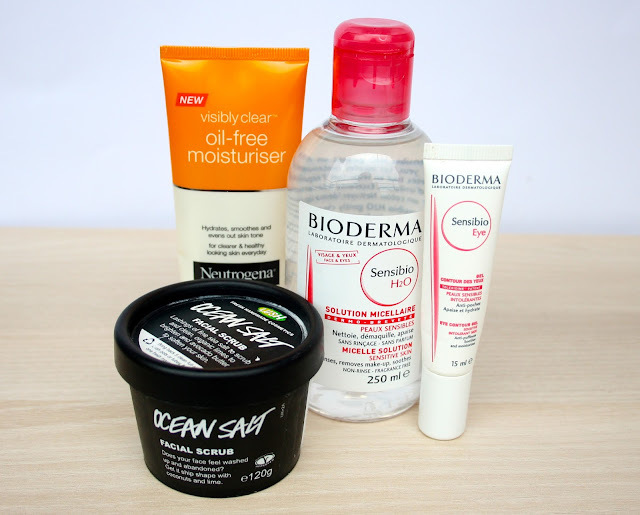 I've been wanting to get the Bioderma range since I heard of it about a month ago. I've heard really good things about it. I must see where I can get it cheapest though as I'm trying to save some money at the moment and not spend lots! Amazing haul! i wish more of these products would become available in my country. Fabulous haul, from here Ive only tried the Neutrogena moisturizer and it was satisfactory. Would love to try the ocean salt scrub. I love the Neutrogena face moisturiser! I really want to try the face scrub. You picked up some lovely products! Those masks look really promising! YAY for exams and stress being over!! I haven't heard of a lot of these brands - thanks for sharing! Love this post! I really like the Bioderma micellar water, I think it's amazing! 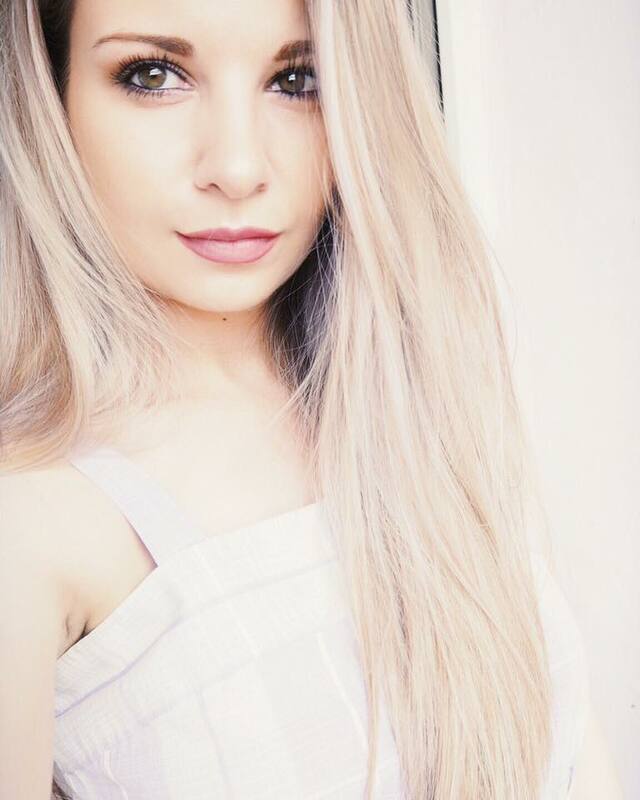 I've been using it for more than 5 months now and I'm never going back to my old ways of using whatever toner I could find. It does a great job at removing my makeup aswell :) one bottle does it all I guess haha. I'd love to try something from Neutrogena for such a long time - we only have the hand creams over here! I love love love Ocean Salt. I just wish there was a Lush closer to me so I could purchase it.I know I can order it online but I love browsing the store. I wish the US had Bioderma. I would love to try it! Wow, what an amazing haul! All of these products sounds great. I adore Lush, their products never let me down and the shop smells gorgeous! I'm going to be in Paris next month and I am way too excited to stock up on Bioderma. haha. 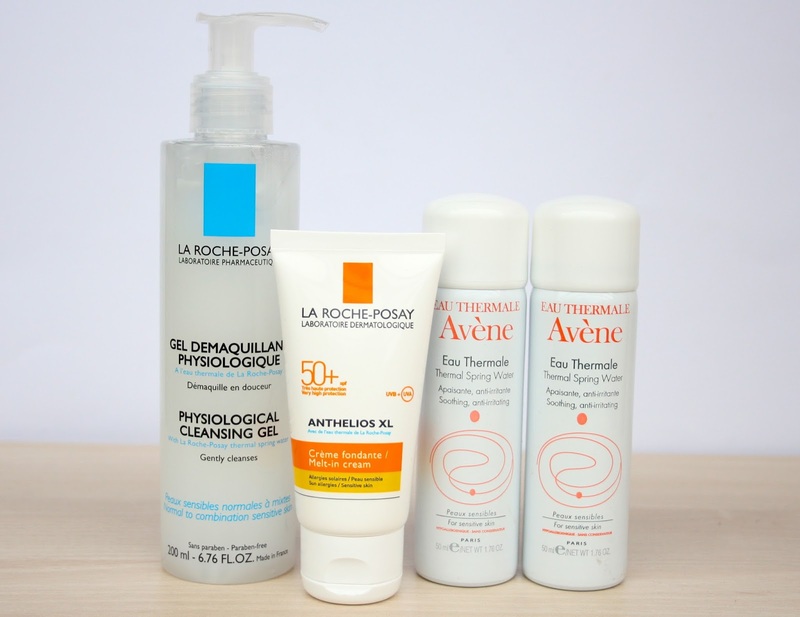 I want the La Roche Posay and Avene stuff you have. The b liv too! I just love Lush scrubs! I'm so jealous of your bioderma! The Avene Thermal Water is an essential for me - it really helped me when I was breaking out from overexfoliation :) I love it, will never be without it! And all your other products are enviable - French skincare is so so hard to find here in the Phils (and if we have them, they are EXPENSIVO!). oh I can’t wait to try Bioderma Sensibio H2O!! I have read so many great reviews about it! my skin is mix and sometimes oily - during the winter very dry, is very crazy ahahaha! Now that is a big haul :D I'm doing this myself, whenever I go shopping I return with loads and loads of either makeup or skincare. I have the Bioderma H2O, but the Sebium version for oily and combination skin and so far I like it. But I also have the "classic" Sensibio H2O here waiting for the other one to run out. I'm excited to try it! great haul! I love la roche posay suncare line. Great post! We love it! Lovely haul you got there! I personally have the avene spray, la roche posay sunscreen and bioderma! Love all of them <3 Nice picks! I'm absolutely new to blogging and I accidentally found your blog and fell in love with it. Really helpful product reviews for skincare :) Thanks!! What a great haul! I really have to try Lush. Everyone's raving about it. great product review! I want to try bioderma!